← Congratulations to theTeam Decatur Grand Slam Champs!! Here is the line up for our Magical Mornings Winter/Spring 2015 events. Our first event will be next Wednesday, January 21, 2015. Please join us along with Betty Ann Wylie and her Mother Goose storytelling. The show starts at 11am. Children pay $2, parents and teachers are admitted free. 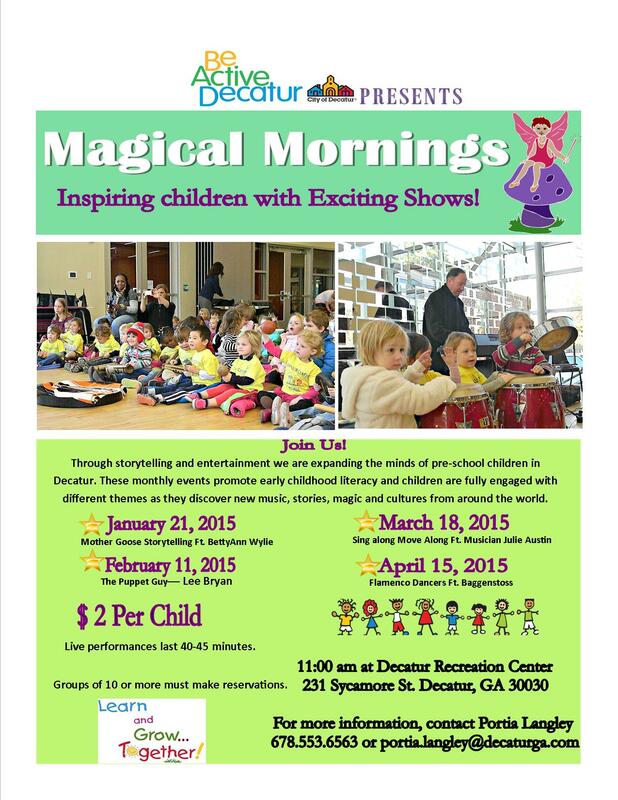 Come out and join us for all our Magical Mornings events this Winter/Spring at Decatur Recreation Center.